The 3-piece case with a 39mm case is polished and finely brushed. It has a display back, through which the reliable Eta 2824 can be seen. 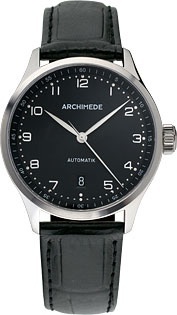 The dial options are silvered, black and brown. 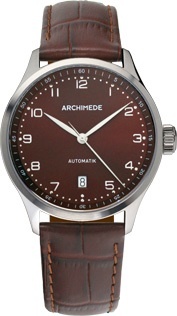 Beside the black and brown leather straps made of soft calf leather a solid steel bracelet is also available. 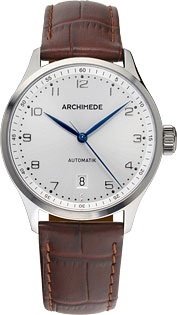 and forInternational customers www.archimede-uhren.de/EN/Klassik-39.htm for Eur 465 (leather strap) and Eur 585 (steel bracelet), plus shipping costs.